Generates a grid of nodes. The GridGraph does exactly what the name implies, generates nodes in a grid pattern. Throw any scene at it, with minimal configurations you can get a good graph from it. The The Snap Size button snaps the internal size of the graph to exactly contain the current number of nodes, i.e not contain 100.3 nodes but exactly 100 nodes. This will make the "center" coordinate more accurate. 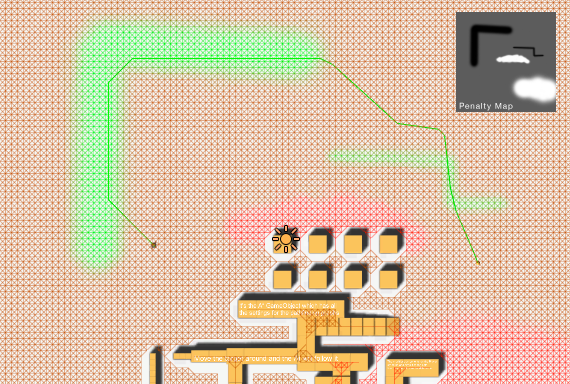 For grid graphs this is a great feature since you can update only a small part of the grid without causing any lag like a complete rescan would. 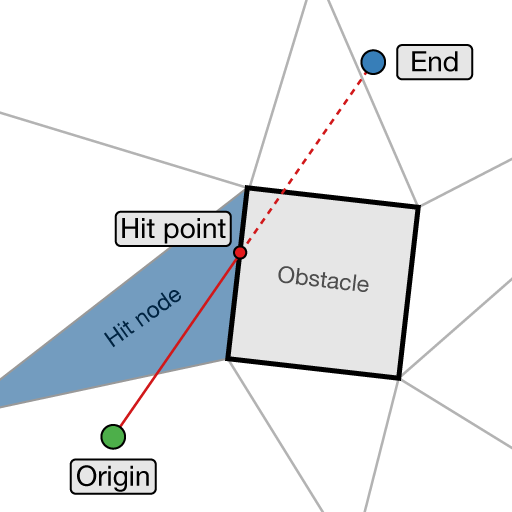 Where ob is the obstacle you just instantiated (a GameObject). As you can see, the UpdateGraphs function takes a Bounds parameter and it will send an update call to all updateable graphs. The graph can be configured to work like a hexagon graph with some simple settings. 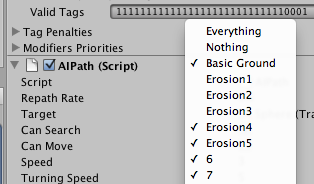 Since 4.1.x the grid graph has a 'Shape' dropdown. If you set it to 'Hexagonal' the graph will behave as a hexagon graph. Often you may want to rotate the graph +45 or -45 degrees. Note however that the snapping to the closest node is not exactly as you would expect in a real hexagon graph, but it is close enough that you will likely not notice. It seems that Unity will only generate tree colliders at runtime when the game is started. For this reason, the grid graph will not pick up tree colliders when outside of play mode but it will pick them up once the game starts. 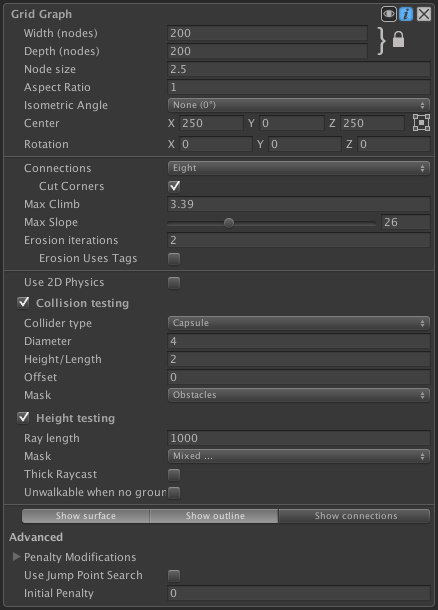 If it still does not pick them up make sure that the trees actually have colliders attached to them and that the tree prefabs are in the correct layer (the layer should be included in the 'Collision Testing' mask). Pathfinding.GraphCollision for documentation on the 'Height Testing' and 'Collision Testing' sections of the grid graph settings. Note that to ensure that connections are completely up to date after updating a node you have to calculate the connections for both the changed node and its neighbours. In a layered grid graph, this will recalculate the connections for all nodes in the (x,z) cell (it may have multiple layers of nodes). This method is much faster than GetNodesInRegion(IntRect) which returns a list because this method can make use of the highly optimized System.Array.Copy method. Recalculates single node in the graph. If true, the penalty of the nodes will be reset to the initial value as if the graph had just been scanned (this excludes texture data however which is only done when scanning the graph). If true, the tag will be reset to zero (the default tag). 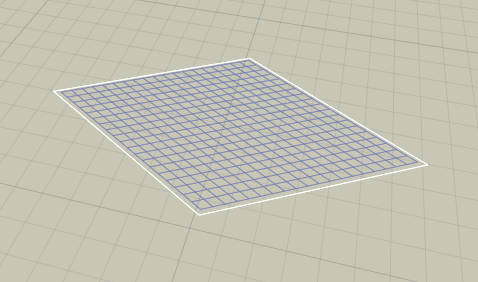 For a layered grid graph this will recalculate all nodes at a specific (x,z) cell in the grid. For grid graphs this will simply recalculate the single node at those coordinates. Calculates the width/depth of the graph from unclampedSize and nodeSize. The node size may be changed due to constraints that the width/depth is not allowed to be larger than 1024 (artificial limit). Draw the surface as well as an outline of the grid graph. 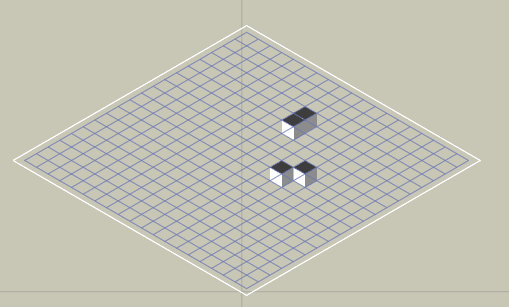 The nodes will be drawn as squares (or hexagons when using neighbours = Six). Get the connecting node from the node at (x,z) in the specified direction. Internal function to update an area of the graph. Generates the matrix used for translating nodes from grid coordinates to world coordinates. Set if connection in the specified direction should be enabled. 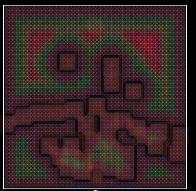 Direction from 0 up to but excluding 8. Note that bounds checking will still be done when getting the connection value again, so it is not necessarily true that HasNodeConnection will return true just because you used SetNodeConnection on a node to set a connection to true. Updates position, walkability and penalty for the node. Use RecalculateCell instead which works both for grid graphs and layered grid graphs.